Question 5: Can you keep all this [i.e., love God and neighbor] perfectly? In and of itself God’s moral law (“love God and your neighbor”) is not a bad thing. On the contrary, God’s law is holy, righteous, and good (Rom. 7:12). The reason that the law is often called “the bad news” is because we are unable to keep it. The problem is not in the law but in us; our obedience has never been complete and perfect. When God’s law tells us of God’s demands and reveals our sin and misery (e.g., Rom. 3:9-20), it tells us in crystal clear terms what our conscience has already uttered (Rom. 1:32; 2:13-15) – we have violated the law of love. Tragically, our condition is even worse than that we have failed to obey God’s moral law. This disobedience is not a mere slip-up by people that are inherently good. No, we have an inclination toward hate (Eph. 2:1-3). Our nature is now twisted and corrupted and we worship created things (including ourselves) instead of the Creator (Rom. 1:18-23). We are also prone to love ourselves to the detriment of our neighbors. In the first sin events of Adam and Eve, we submitted ourselves to the instruction and command of the serpent. Having been cast out of the Garden and still wandering “East of Eden”, we generally do his bidding, rejecting our Creator and our neighbor. We live in a time in which Christian networks are all the rage. Various conferences, coalitions, and parachurch organizations are being formed in order to encourage evangelism and church planting across theological traditions. Cooperation amongst Christians is an encouraging thing to see. 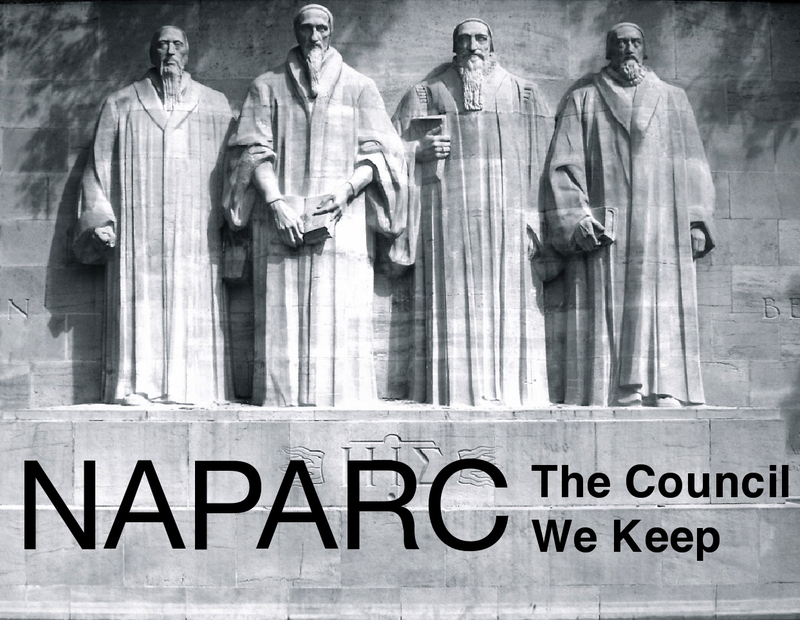 This is, in fact, one of the reasons NAPARC was formed, i.e., for the “propagation of the Reformed faith” (Constitution Art III.3) and to “promote cooperation wherever possible and feasible on the local and denominational level in such areas as missions…” (Constitution Art III.4). It is important to note a difference between the “network model” and the “NAPARC model”, though. While the NAPARC model seeks cooperation in missions, this cooperation is exercised within official ecclesiastical structures. In other words, because these churches have an official relationship, they are able to hold their church plants and church planters accountable for their actions, methods, and message, even if the plant occurs across denominations. While we would hope that networks and coalitions would move toward a more ecclesiastical expression of unity in missions (the ministry of the visible Church must be our primary means for fulfilling Christ’s Commission), there are things we must also learn from them. These informal partnerships are leading to numerous church plants, sacrificial giving of time and resources, and deep commitments to evangelism and loving one’s neighbor. Though there have surely been ways in which NAPARC churches have cooperated in missions, their boldness in the spread of the gospel is surely worth emulating.